■ Structural inefficiencies that have grown within organisation are restricting the expansion potential of the	business and exposing the organization to unnecessary risks The inability of companies to meet strategic goals and extending their franchise has led to unfulfilled potential of many firms. ■ Furthermore, the competitive environment with increasing customer demand for innovation and higher value products is transforming the current business processes in all industries. ■ Organisation are looking to re-engineer their businesses and create innovative new operational models that	are aligned to changed business scenario's to improve productivity efficiency, market share, and profitability. ■ Kinetrix develops a road map that can transform the organization to meet its strategic objectives and ensure alignment to its operational framework. Designing a Roadmap - Kinetrix will develop a road map which encompasses the relevant operational aspects of the organization, including technology, infrastructure, process, people in accordance with the products and services, culture and strategic aspirations of the organization This will be accompanied by an overarching communication plan to ensure effective management of change within the organization. 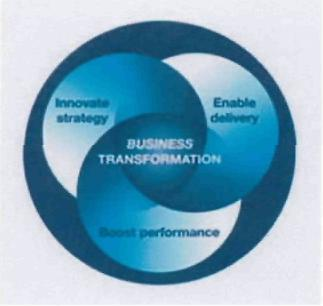 Transformation Strategy - Kinetrix utilizes the roadmap to develop a transparent set of defined deliverables This setting can include short term plan (100 day plan), medium term and long term strategy. Implementation and Delivery - Implementation will entail the use of a multiple resources across many different operational units, both internal and external. Review and Measurement - Setting up performance parameters or Key Performance Indicators (KPIs) that are benchmarked to industry standards Build Management Information System and dashboard that can monitor the effectiveness of the transformation on an ongoing basis.